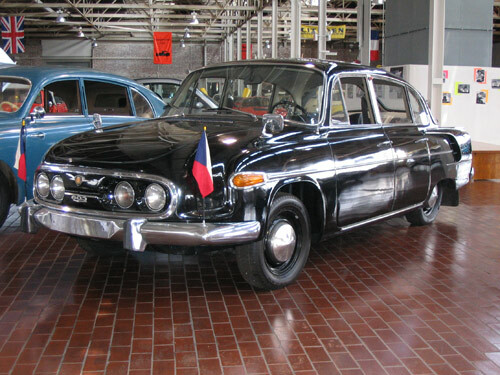 When the centralized planned economy in the Czech Republic appointed Tatra to be the manufacturer for big automobiles, work started on the T-603. This model was unveiled to the public in 1955 at the International Motor Event in Zlin, and production started in 1957. 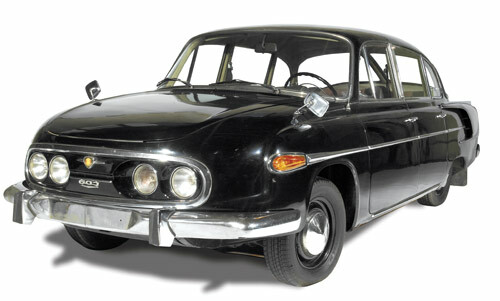 The T-603-2 which you see here was introduced in 1963 and has a four-headlight unit. The body is an all-steel monocoque construction lighter in weight than the T-87. This is a roomy six passenger car. Unusually, the front bench seat can be folded back to make a temporary bed. The T-603 could not be bought by private customers, as it was only for Communist officials and presidents in Eastern-European countries and Cuba.